National Institutes of Health Director Francis S. Collins, M.D., Ph.D., announced via Twitter that he has been asked to stay in his position by President Donald Trump, becoming the first director in a generation to serve under two presidents. Dr. Collins was appointed to his current role in 2009 by President Barack Obama. 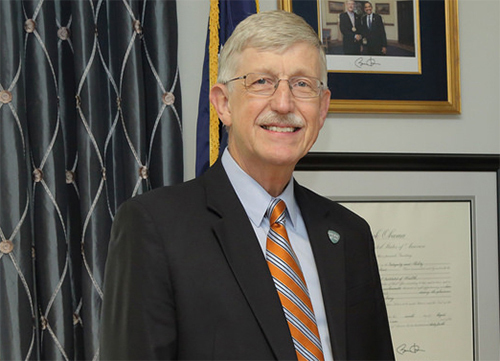 In a memo to NIH staffers, Dr. Collins noted: “I am truly grateful for the president’s vote of confidence, and I will be honored to continue to serve this noble institution. However, Trump on May 1 enacted a budget for FY 2017 that increased NIH funding $2 billion or 6%, after Congressional leaders from both parties balked at the president’s initial proposal to slice agency funding by $1.232 billion. Funding for the NIH and biomedical research spending more broadly have been among the few priorities to enjoy bipartisan Congressional support in recent years.